Nominate yourself or a colleague for a Texas Apartment Association professional award. Awards will be presented during the 2019 TAA Education Conference & Lone Star Expo April 10-12 in Houston. Nominations are being accepted online now for TAA’s Professional Awards, including the Olin Steele Lifetime Achievement Award for supplier partners. Awards recognize outstanding rental housing professionals who exemplify high standards. Members may nominate themselves and submit nominations directly this year. Awards will be presented April 12 during the final event of the 2019 Texas Apartment Association Education Conference & Lone Star Expo in Houston. 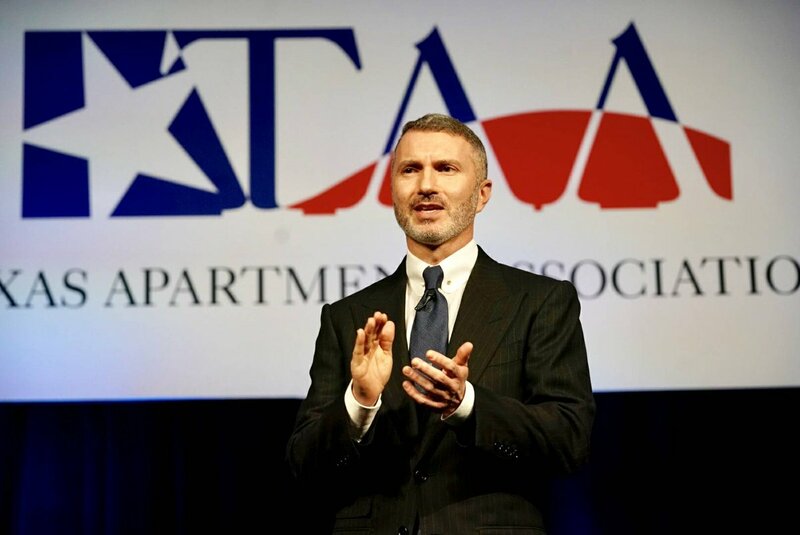 Next April, the Texas Apartment Association will recognize outstanding rental housing professionals at the 2019 TAA Education Conference & Lone Star Expo April 10-12 in Houston. TAA’s professional awards will be presented April 12 during the final Conference event. Nominations for these prestigious awards are now open, and may be submitted online only. Members may nominate themselves directly for an award, or suggest that a colleague submit a nomination. Learn more and begin the nomination process. Note that the individual nominated will need to complete and submit the online nomination. Awards will be presented during the Emerald Extravaganza Installation & Awards Gala April 12 during the Conference in Houston. To be considered for the Association Executive of the Year, AEs must first be nominated by their local volunteer leadership. A letter of nomination from local leaders is due to TAA by Dec. 14. TAA will also recognize an outstanding supplier/partner member with the Olin Steele Lifetime Achievement Award. Finalists for the award are selected by past winners. Criteria for each award varies, but is based on the nominee’s accomplishments on the job, while acknowledging other factors like commitment to professional development, professional designations, if any, earned, volunteer involvement in the community and the association, and more. For questions about the AE of the Year or the Olin Steele awards, contact Lynn Fisher, CMP. For questions about property management awards, contact Donna Harbers, CMP. You may also call 512/479-6252 and ask to speak to Lynn or Donna.